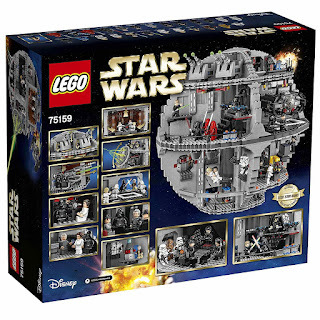 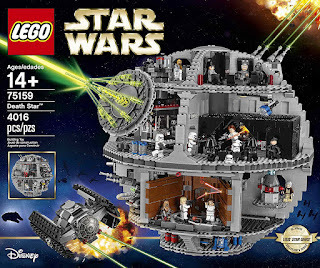 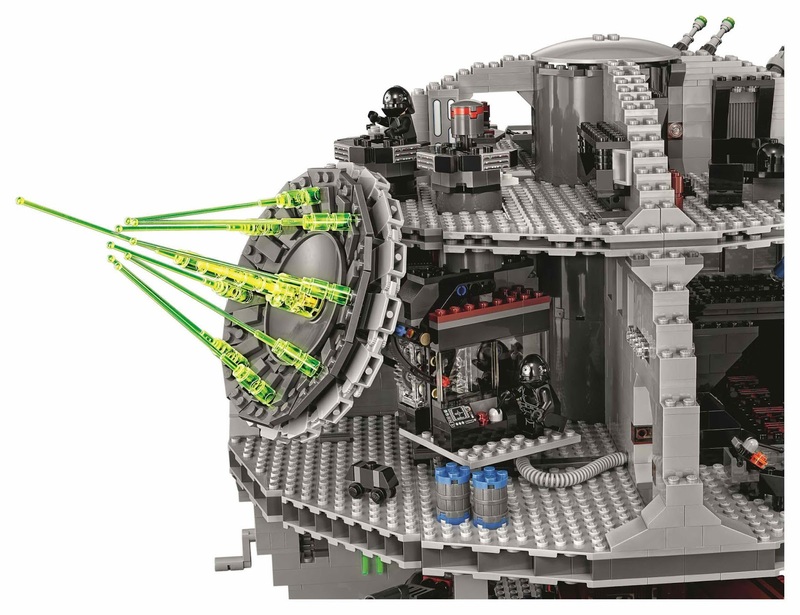 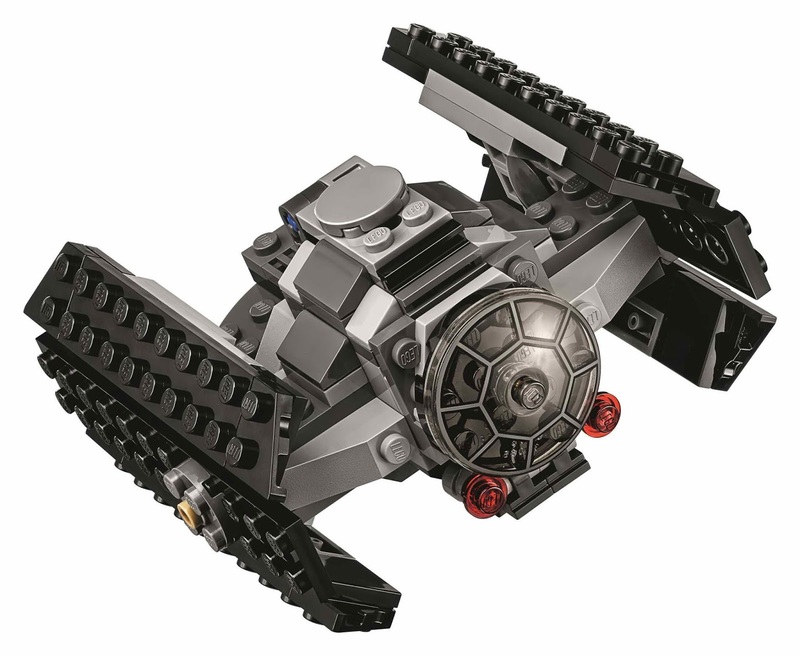 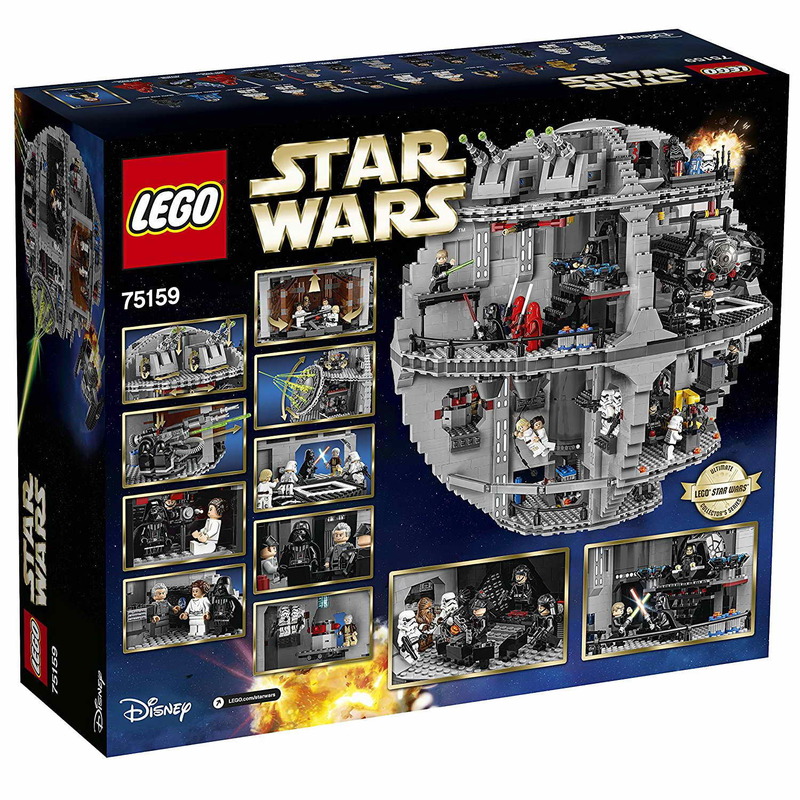 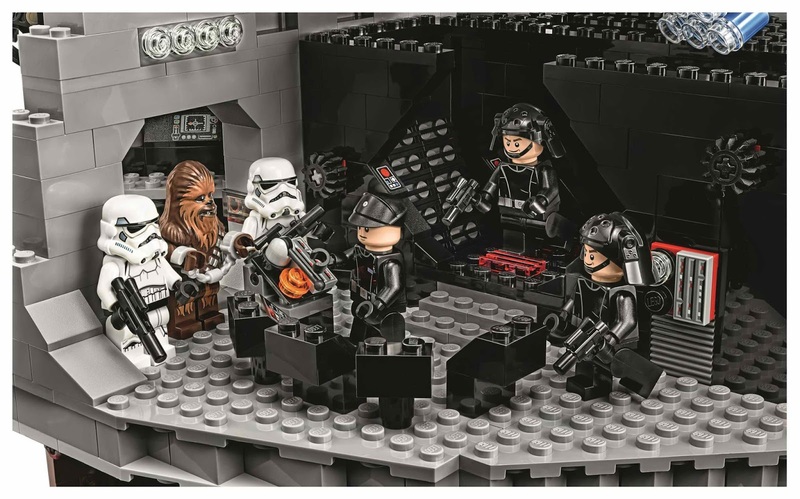 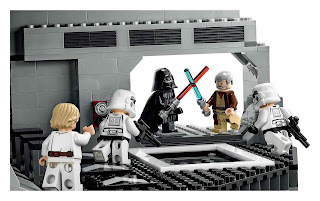 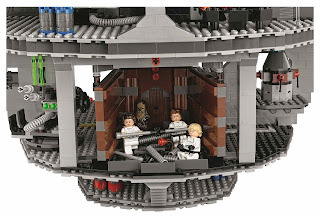 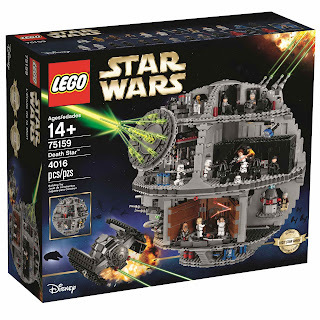 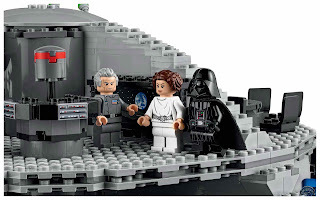 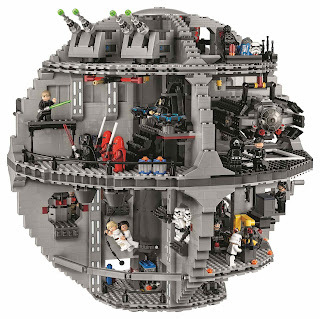 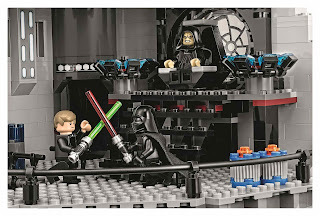 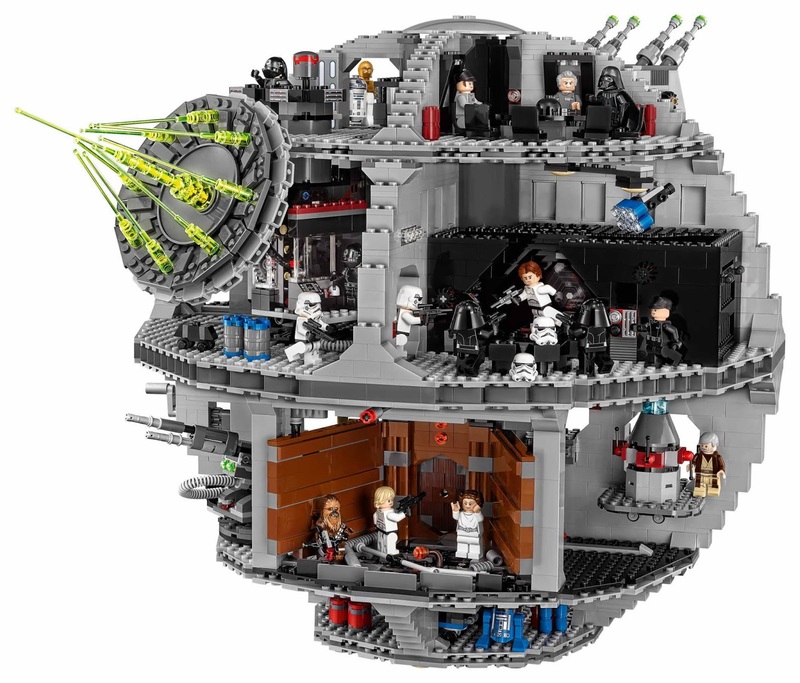 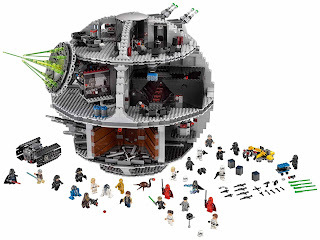 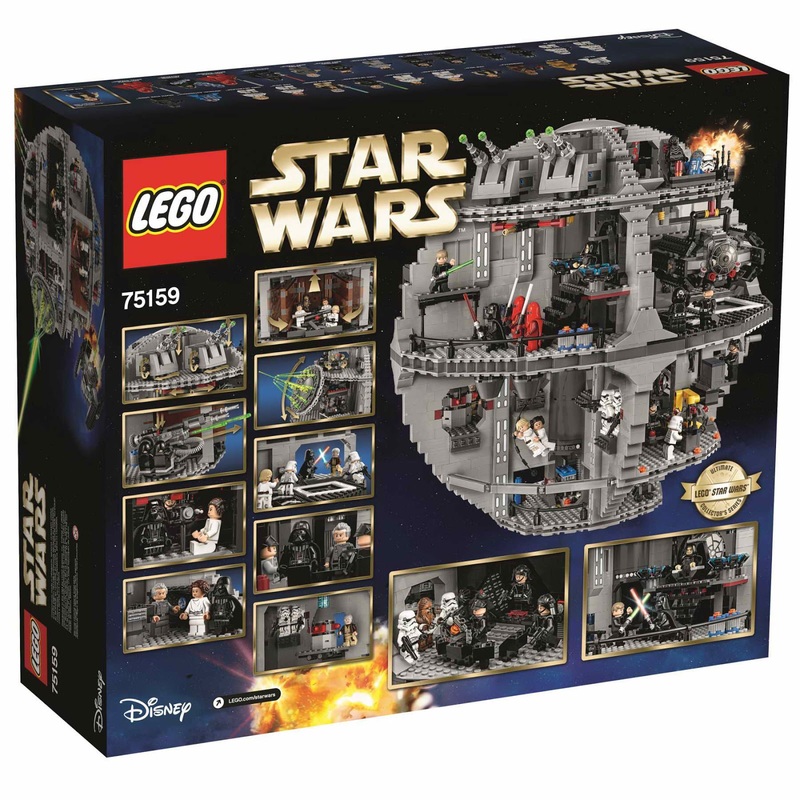 re-released version of similar 10188 death star by LEGO in 2008.
come with a death star diorama sphere. 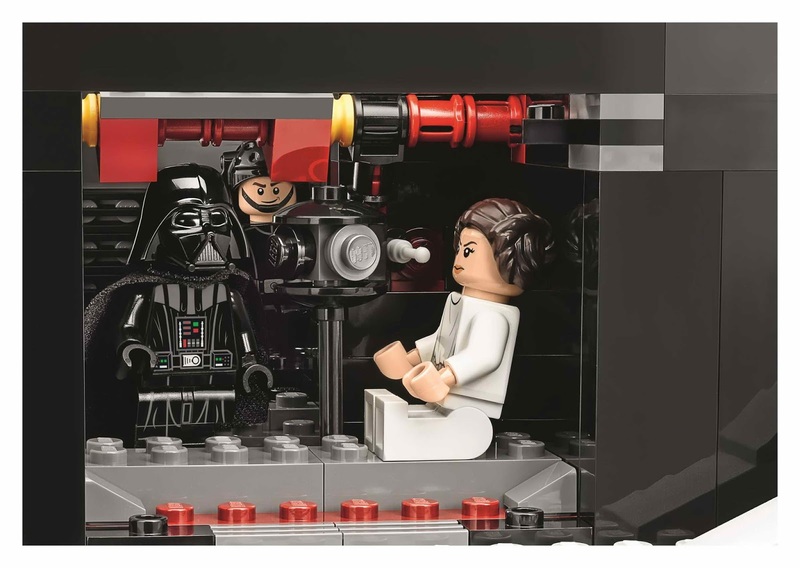 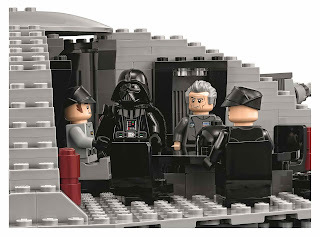 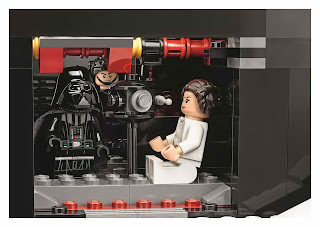 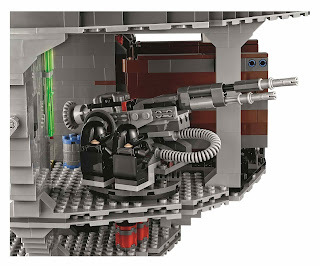 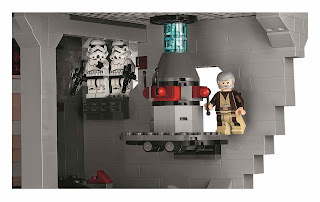 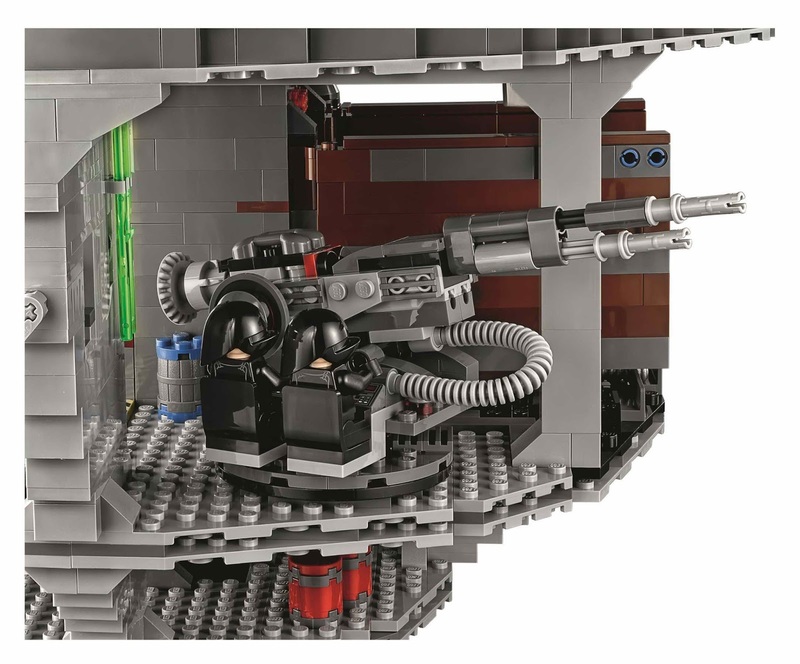 the sphere has a superlaser control room, an imperial conference chamber, a hangar bay, a movable launch rack, a detachable tie advanced for lord vader inside, an emperor palpatine’s throne room, a droid maintenance room, a detention block, a trash compactor, a tractor beam, a cargo area, a turbo laser with spring loaded shooters, seats for the 2 death star gunners, and 2 movable turbo laser towers. 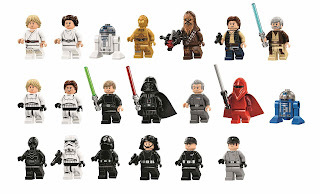 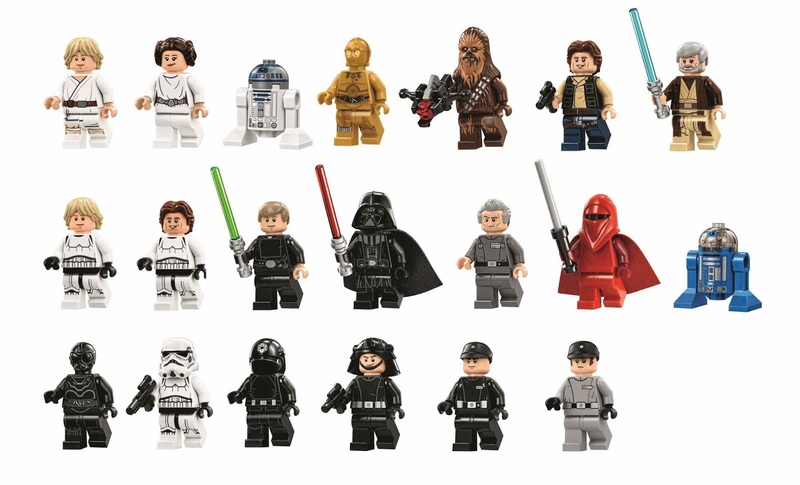 minifigs included a grand moff tarkin minifig, a darth vader minifig, an emperor palpatine minifig, an imperial navy officer minifig, an imperial officer minifig, 2 stormtrooper minifigs, 2 death star trooper minifigs, 2 emperor's royal guard minifigs, 2 death star gunner minifigs, a death star droid minifig, an obi wan kenobi minifig, a chewbacca minifig, a princess leia minifig, a c3po minifig, a han solo minifig, a disguised han solo minifig, a tatooine luke skywalker minifig, a disguised luke skywalker minifig, a final duel luke skywalker minifig, an r2d2 minifig, an imperial astromech minifig and a dianoga trash compactor monster minifig.